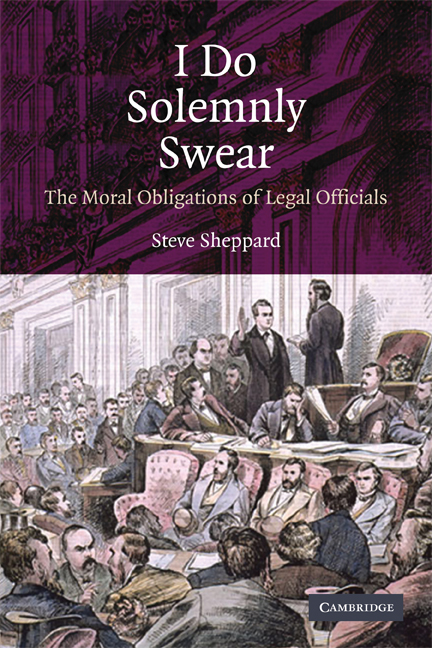 Writing for FindLaw, Stephen Sheppard, author of I Do Solemnly Swear: The Moral Obligations of Legal Officials, demonstrates that we have plenty of historical precedent for investigating former administrations in the US. Vice President Cheney has complained that the Attorney General’s new investigation of alleged torture during the Bush Administration is unprecedented. Cheney says that such an investigation is merely political, criminalizing a disagreement between Presidents over policy. He claims that no administration has investigated its predecessors’ crimes, and that it is wrong for the Obama Administration to break tradition. Yet, as Cheney well knows, the United States has previously investigated criminal acts by officials, even White House officials. Indeed, such investigations – and the resulting prosecutions – are the duty of the White House. Of course, Cheney has other arguments, which we’ve heard before: Arresting agents for breaking the law would be bad for morale, and they’d be less willing to break the law in the future. What was done wasn’t torture, and anyway it worked; and we need to use it a lot more often to stay safe. But the precedent claim is new, and it occupied much of Cheney’s attention on Sunday’s Fox News show. Cheney argues that this investigation poses a new risk to our government. No U.S. president has overseen the investigation and – as Cheney predicts – the prosecution of the agents or officers of a prior administration. He sees this as a new precedent, and a bad one. Yet Cheney is wrong. There are precedents. Moreover, there is a reason why there are so few: Most administrations investigate themselves, something the Bush Administration refused to do. Albert Bacon Fall was a powerful Senator when he joined the cabinet of President Warren G. Harding in 1921. Fall became Secretary of the Interior and managed to acquire jurisdiction over the U.S. Navy’s oil reserve, consisting of oil pools in California and in the Teapot Dome formation in Wyoming. Fall gave non-competitive contracts to his friends in major oil companies, allowing them to drill without bidding for the right to do so. Secretary Fall argued that the leases were in the national interest; bids were unneeded owing to the reputation of the firms. Yet he failed to mention the $385,000 given to him by one of his friends at one of those very firms. Harding died in 1923, and the following year, President Calvin Coolidge acted on a Senate committee recommendation to appoint special counsel to investigate the whole mess. Counsels Altee Pomerene and Owen Roberts were confirmed, after much debate in the Senate over their independence and qualifications. They brought two civil suits and six criminal actions, including three separate criminal cases against Secretary Fall. 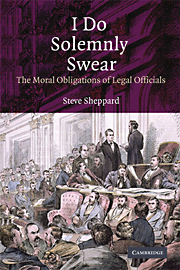 In the 1925 decision of the U.S. Court of Appeals for the D.C. Circuit in United States v. Albert Fall, Fall’s bribery conviction was upheld. He served nine months in prison. Perhaps we should excuse Vice President Cheney for not remembering Teapot Dome. Yet it is harder to believe his memory failed him regarding prosecutions of members of an administration he himself investigated, for carrying out Presidential policies that amounted to criminal activities.